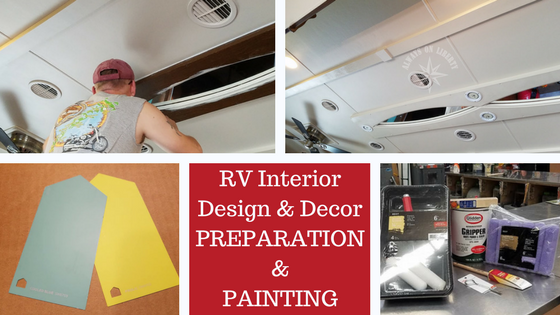 Before we began our design planning, we researched extensively what kind of wall and ceiling covering could be used on RV wall surfaces. 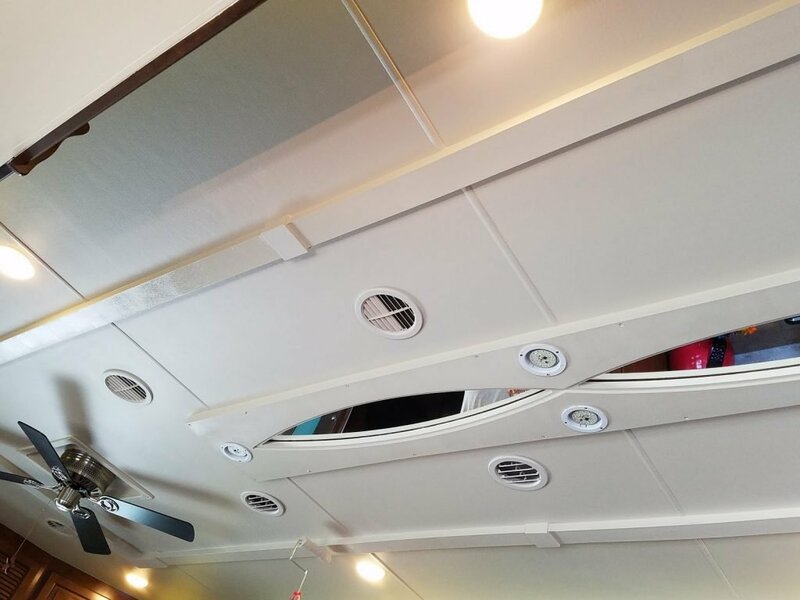 Unlike S&B’s that have drywall, walls in RVs and campers are covered with a slightly textured and glossy wallpaper. 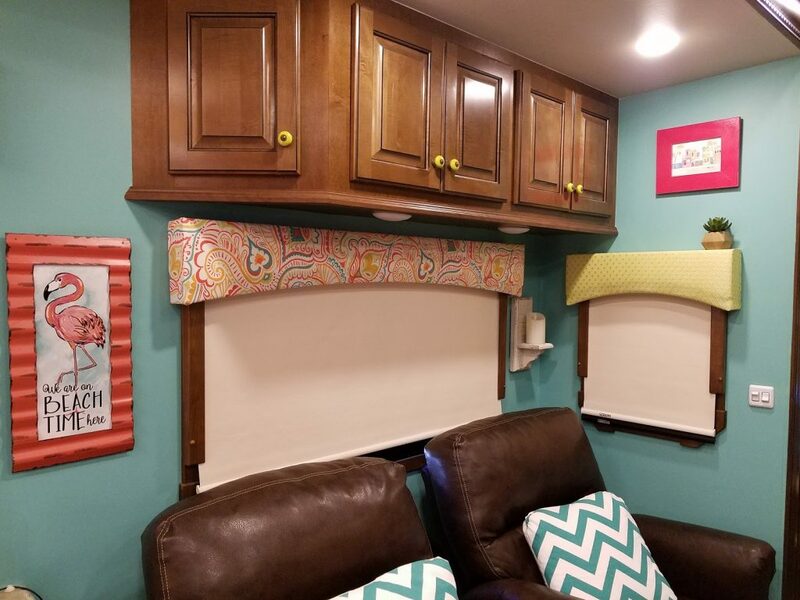 Oftentimes, we’ve found it challenging to successfully hang Command Strips and Command Strips Velcro as the surface was too slick and the fact that it’s wallpaper that pulled away from the wall. Our first thought was “OMG, we’re going to have to sand every one of these wall surfaces” and you could imagine what kind of work, mess and breathing nightmare that would be. So, that was a big fat NOPE on that idea. Who is this “Grunt Man”? You will occasionally read or hear me refer Dan as my “Grunt Man”. It’s a term of endearment. 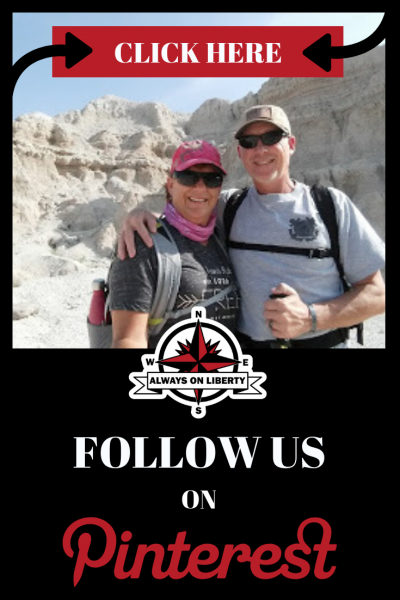 We’ve been married for 35 years so far; it’s what we do. I coined him that name for two reasons; one being he’s doing all of the grunt work and well, the other is because when I say “hey, I got an idea” or ask him some silly question, he grunts at me. Just thought I’d throw that tidbit in because you’ll read that reference in my design and decor blogs. Anyway, he’s my personal contractor. I pay him in grog rations and food. He’s a happy Grunt Man. First, we wiped down the walls with clean soft cloths and a 50-50 ratio of vinegar to hot water mixture. This removes any dirt and residue from cooking, dust and dirt. We also removed any glue smudges. We made sure the cloth was only damp; not sopping wet. We allowed all surfaces to dry completely. Next, Grunt Man caulked every crack, crevice, nook and cranny; ceiling to floor. He caulked around cabinets, window trims, slide trims, and light fixtures. It’s in this step we realized ‘why’ RV manufacturers install dark cabinetry and that awful darker textured wallpaper. It’s because it hides mistakes, crookedness, and flaws with their shadows. Caulking is the most important element that brought out the best look when the whole project was complete. Grunt Man ‘wet fingered’ lightly over the bead of caulk on the creases, crevices and edges for an optimal professional finish. into the RV to get them acclimated to room temperature for optimal application at least 24 hours prior to painting. 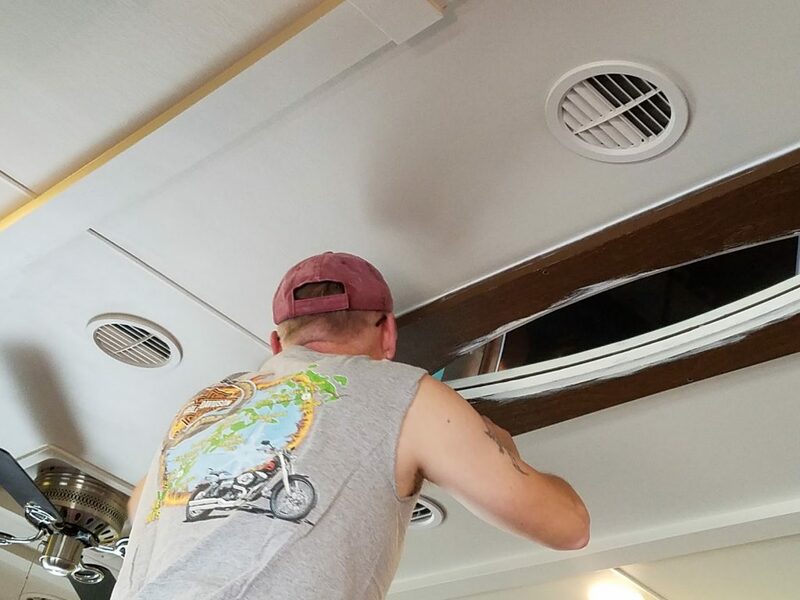 The original ceiling of our Landmark fifth wheel was the same dull, beige textured wallpaper as the walls. Additionally, there was a hideous (our opinion) plastic resin wood-grain light fixture thingie (or whatever they’re called) that had mirrors. 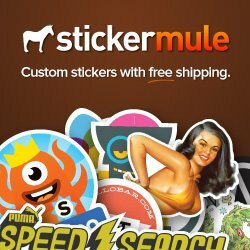 Personally, I wanted that whole thing gone but it would have required some deeper modification and that just wasn’t going to happen. So we agreed to paint it. Because it was dark and regular paint wouldn’t adhere to it, we had to prime it the same as the walls. Once Dan finished preparing the walls and ceilings and then caulking to receive paint, the next step to “prime” all surfaces. The reason for priming and sealing is the painting surface (wallpaper and hard-to-cover surfaces) resists regular paint, so instead of sanding all of the surfaces which would create a nightmare of a mess, priming was/is much easier and cleaner. There are three major primer and sealer manufacturers. They are all presumably similar and have similar coverage of stains, dark colors, various textured surfaces and finishes. 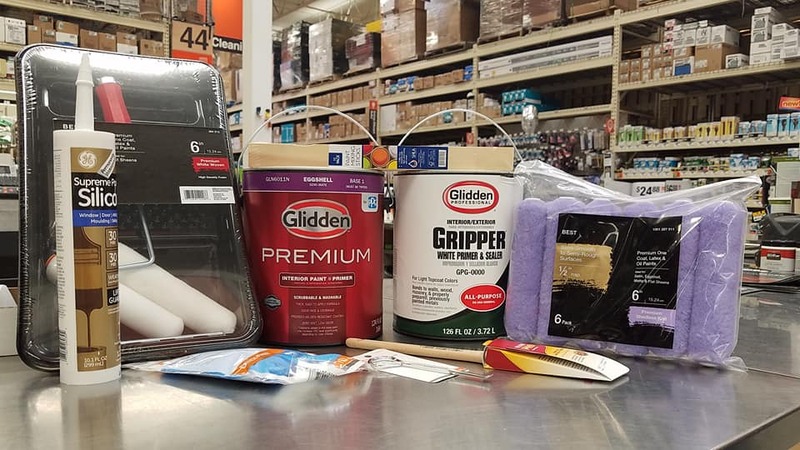 Based on research and other RVers’ testimonies, we chose Glidden Gripper; a primer that can be rolled on or brushed onto most any surface that offers a smooth and even preparation finish for top coating. It was as easy to apply as regular paint; only a little thicker because it has a bonding agent in it. 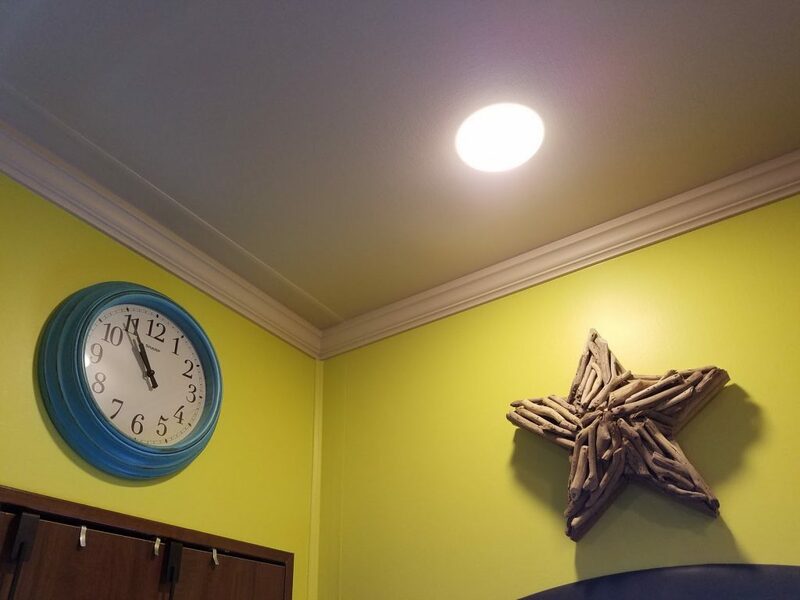 To get the optimum color and a seamless appearance for the ceiling, we took one of the ceiling louvered AC vent covers with us to color match so they blended right into the ceiling color. Remember in my PLANNING blog, I mentioned that paint stores and paint ‘mixologists’ will color match to any color, shade, hue you want. Be aware, we could only do this with the white and not the bright wall colors. Glidden Gripper comes in a white and very light gray base. 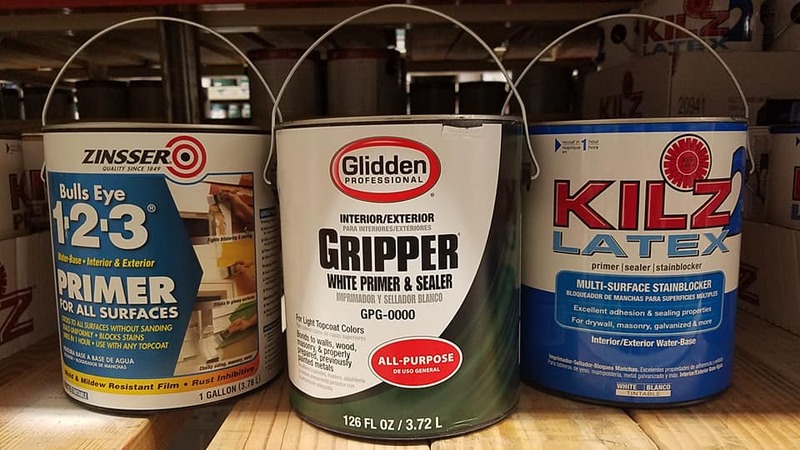 To save Grunt Man some time, we had the Glidden Gripper Primer tinted to our specified ceiling color we wanted so it was a Primer and Paint all in one. Upon opening the can, he thoroughly stirred the paint to mix what may have settled. Be aware that primer is going to be a thicker consistency as regular paint because it has an adhesion compound in it. So, when you’re finished filling your roller pan, we recommend covering the paint can to disallow it from drying out. He painted the ceilings first and worked his way to the walls with the Glidden Gripper Primer. Grunt Man applied three coats of tinted primer to the ceilings and four coats of tinted primer to the brown wood-like trim and mirrored lighting fixture thingie. He only applied two coats of primer to the walls because they were going to be top-coated with paint color. Grunt Man Painting Tip: Consider painting in low humidity and constant temperatures for optimal painting results. Once we decided on our wall colors, we measured each wall that was going to take each color paint allowing for two coats. 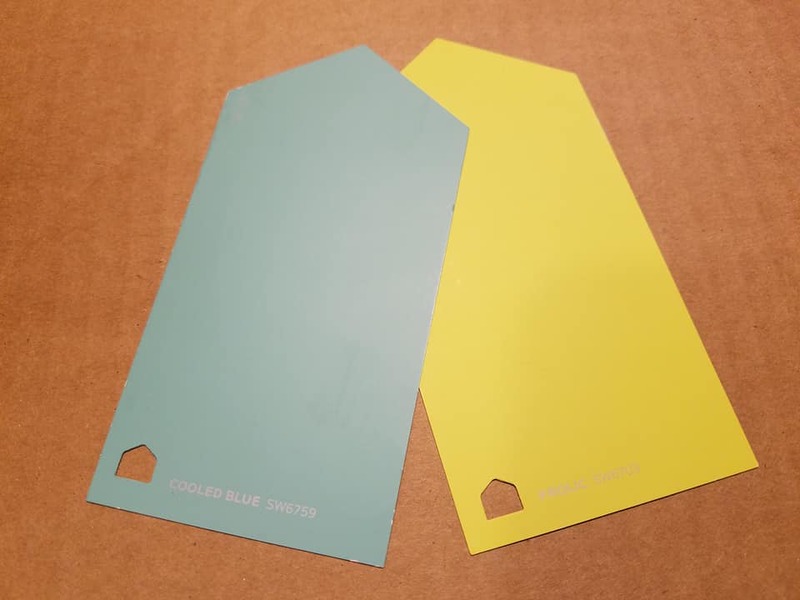 The walls, we chose two different Sherwin Williams colors; Cooled Blue SW6759 which resembled a light aqua blue and Frolic SW6703 which resembled a light limey-yellow margarita (note: the colors in the photo are not ‘true’ to what actually is…my photography *sigh* They are much brighter and cheerier). Reiterating, even though they were another paint manufacturer’s color, the paint mixologist technologically color-matched them with their computerized color-matcher machine. 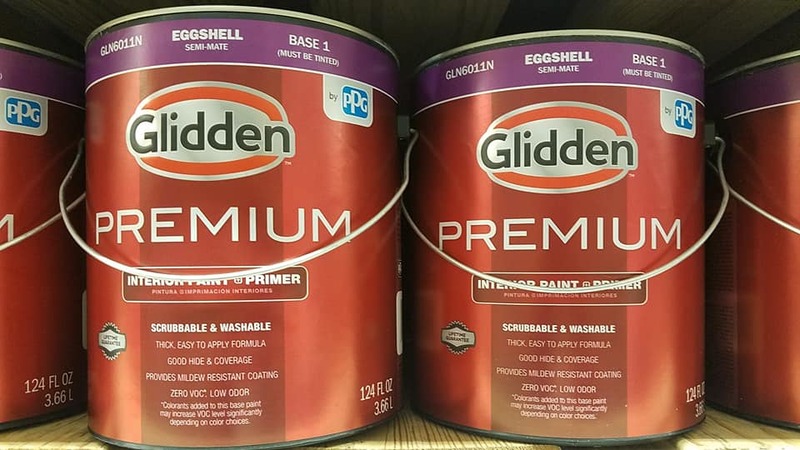 As I mentioned earlier in the blog, even though those were Sherwin Williams colors, we bought Glidden latex paint (eggshell finish) brand because that would ensure proper adhesion with the Glidden Gripper Primer. 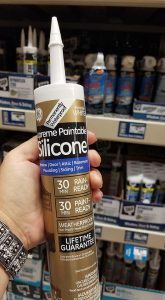 So, if you’re going to ‘prime and paint’ separately, we highly recommend buying the same brand manufacturer for best adhesion and finish results. Grunt Man applied two even coats of color on each wall. The eggshell gives it a cleaner and smoother appearance. However, that said, we are just two careful adults. You may want to consider differently if you have bouncy children or pets (ie. satin, semi-gloss…). 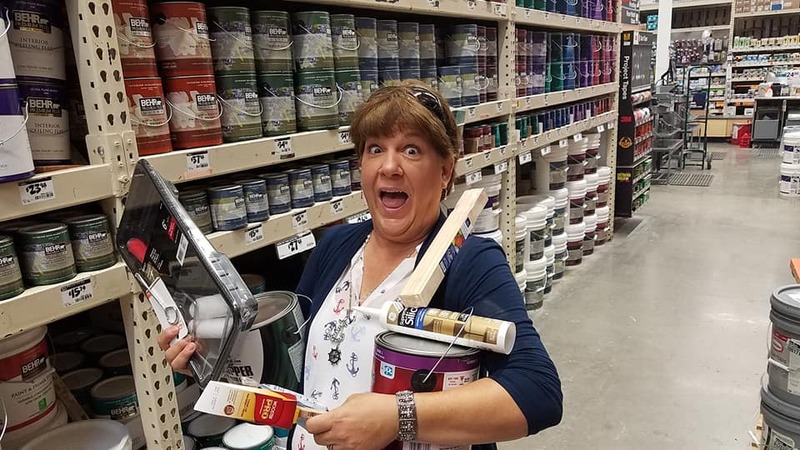 When it all came down to figuring out how much paint we’d need, we not only measured our living area and galley but we also included the hallway and bedroom for later painting. Realize, these amounts below are indicative to OUR space that was being painted. Your calculations and supply amounts may differ. Don’t forget to add in 10% extra for later touchups. Grunt Man Painting Tip: Don’t buy the big paint rollers. Opt for the smaller 6″ wide skinny ones with a ⅜” nap. They won’t be as heavy and cumbersome while rolling the ceiling and walls and are easier to negotiate tighter spaces. I mentioned ‘painters tape’ in our supply list however, we used very little. First, my Grunt Man has an awesomely steady hand that he can cut in and paint edges flawlessly without using the tape. However, not everyone is as proficient a cutter-inner (I made that word up). If you use painters tape, we recommend making certain it is pressed well onto the edge. 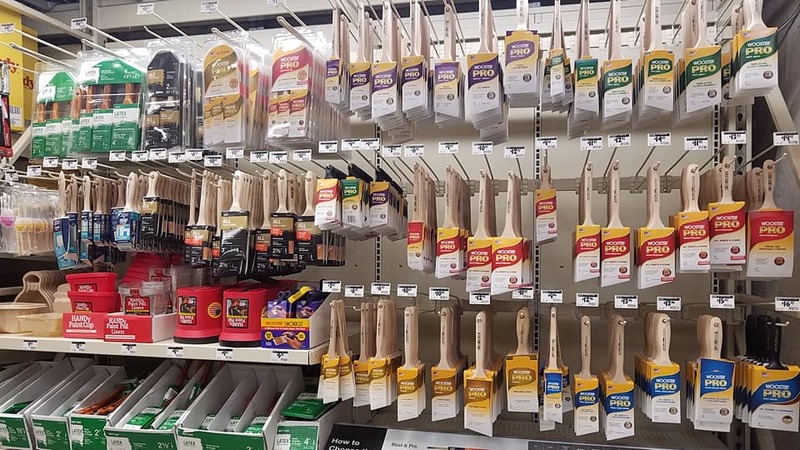 Speaking of ‘cutting in’, Grunt Man recommends using a good quality, long-handled, small angled paint brush. This makes it easier to apply paint with the pointy end in corners and crevices. He suggests holding the brush towards the base of the brush near the neck and metal banding for best control. Oh, and don’t drink coffee or eat anything that will give you the jitters. Once all priming was complete and dry, Grunt Man allowed 48+ hours to dry before applying each of the paint colors. He allowed at least two-three hours between paint color coats. Grunt Man Painting Tip: Don’t toss your leftover paint! 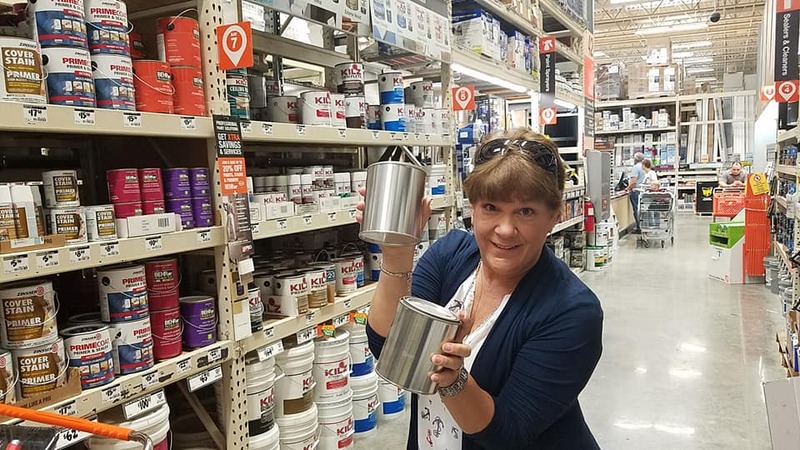 Purchase empty paint cans at home improvement stores and transfer into the smaller cans and label. Store at room temperature or close to it. 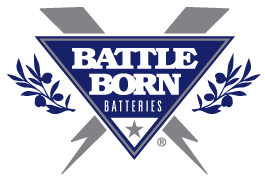 Do not store where it can freeze or reach high temperatures. 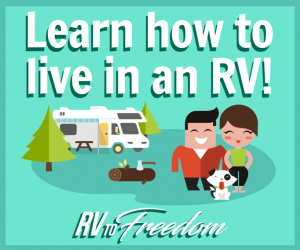 Our RV interior is radiant and beautiful! Because he took his time to do this project, he optimized a professional paint result. He used very little painter’s tape as he is very proficient in ‘cutting in’. The finishes are exactly what we expected and are extremely happy at the result all way around. 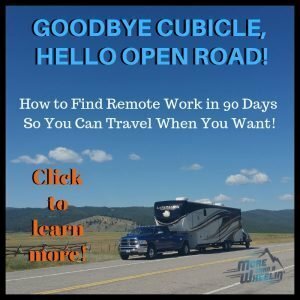 We’ve given tours of the inside of our RV and have received nothing but compliments on this amazing transformation and makeover. So, are you ready to transform yours? 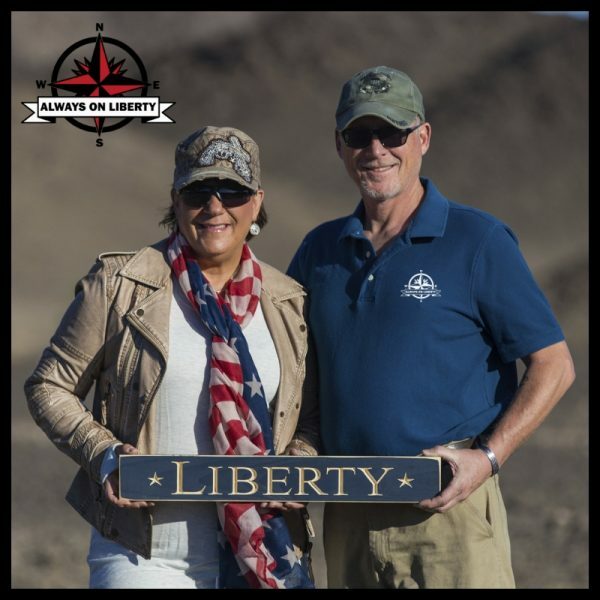 Tom, we are happy to report that our painted surfaces have done fabulous in extreme heat at 115 degrees as well as cold at 22 degrees. 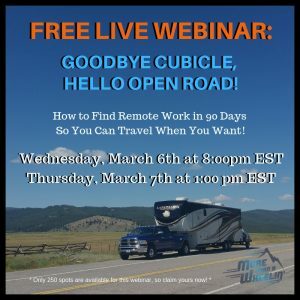 Since it’s just ‘us’ (not being subject to kid or pet wear and tear), we’re happy with the result and would encourage anyone who is looking at changing the colors in their RVs and Campers to not be afraid of doing it. We do however, recommend taking the exact steps for the same results. Make certain your walls are clean. Oh, and it’s so much easier if you only have one person doing it. That way, you’re not tripping over each other or having accidents because the spaces are so much smaller than moving around in an empty room in a S&B. Great article, “blog”. 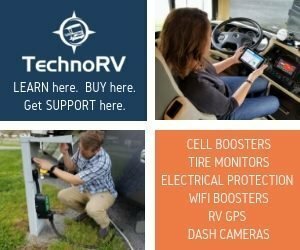 A lot of awesome information. 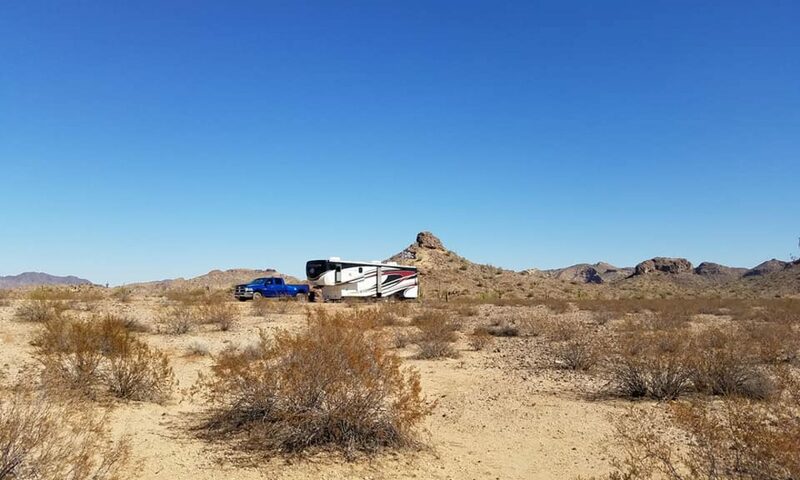 I am a big fan of painting but did not have a clue of where to start with my new to me RV, cannot wait to apply your ideas. Thanks so much.